I am a 2005 graduate from Carrollton High School. I graduated from University of West Alabama where I received my Bachelors Degree in Early Childhood/Elementary Education in 2010. I completed my student teaching at Aliceville Elementary in Kindergarten and 4th grade in 2009-2010. I was a long-term sub at AES after I completed my student teaching. 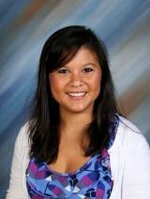 In August 2010, I was hired as a Kindergarten teacher at GES. In 2011, I was hired at GES as an instructional aide where I helped students who needed more intervention in Kindergarten and 1st grade. Now, I am back teaching Kindergarten at GES for several years now and I love it!! I love working with small children and watch them grow & learn! movies on a rainy day, shopping with my sisters, and walking my dog, Marley. I love Alabama football (ROLL TIDE) and anything chocolate!! I also love spending time with family and friends.